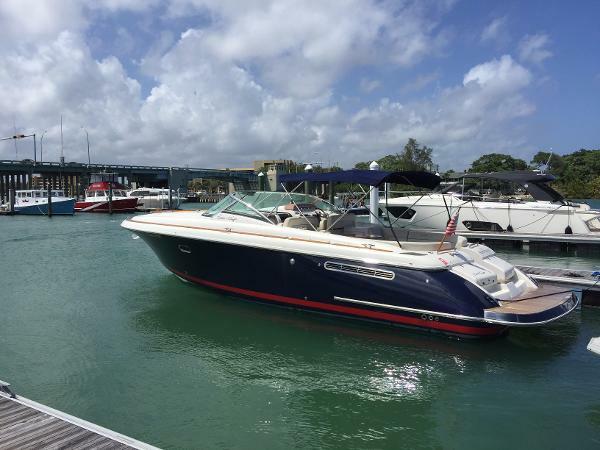 2005 Chris-Craft Corsair 36 Owner looking for more room on his lift, bring offers! 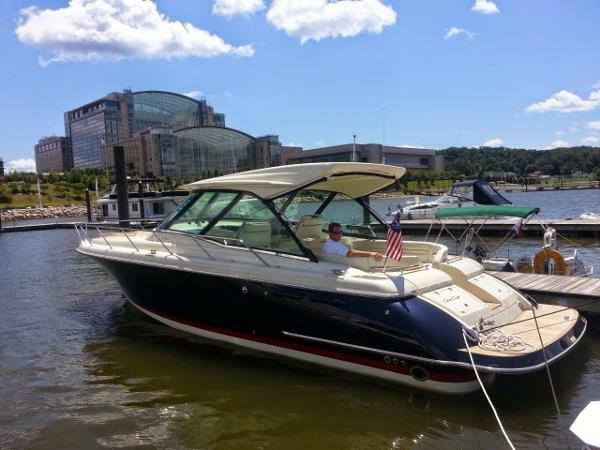 Single owner Chris Craft 36 Corsair with very low hours (199) has always been lift kept under cover since new. 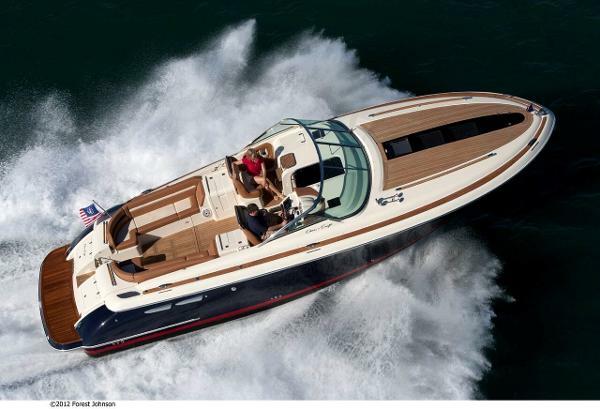 Black hull sides with Ivory Cream boot stripe and full heritage package. Has been Captain maintained since new. The experienced owner is looking to move up in size and ready for a sale. 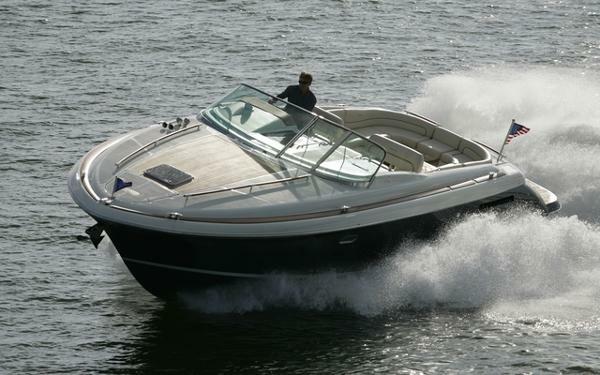 2007 Chris-Craft Corsair 36 New to the market is this well looked after Corsair 36. 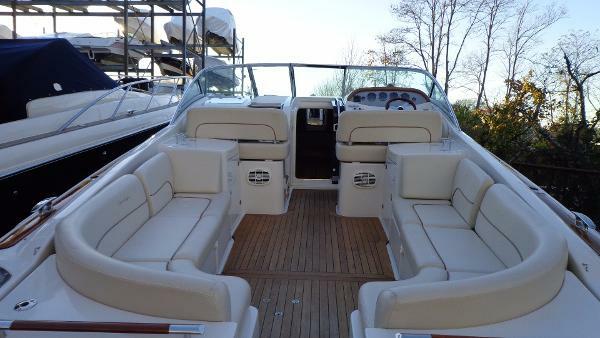 Perfect for cocktail cruises on the intercoastal with all the amenities for overnighting to the Keys or Bahamas.Full heritage trim edition with twin Volvo 420's and upgraded Fusion stereo. Priced to be the next preowned 36 sold. Call today to schedule an appointment or stop by Utiki Restaurant near the Jupiter Inlet to see her on display! 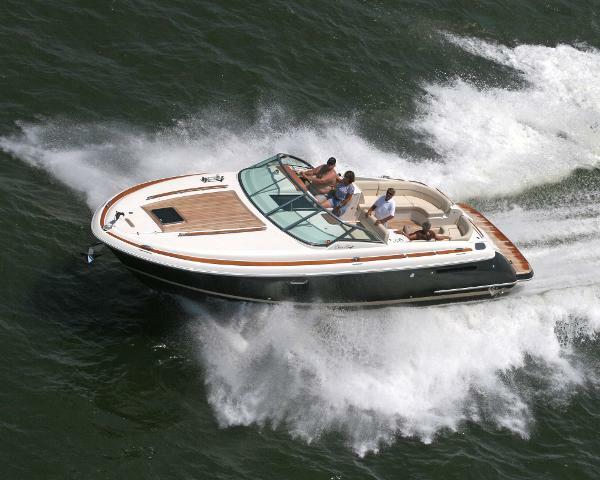 2007 Chris-Craft Corsair 36 Style and fun...the Corsair 36 is sure to add a little pop in your step when you reach the docks and once there, you will have plenty of admirers, as the 36 retains Chris-Craft’s iconic, all-American lines, and has plenty of visible teak. Down below, there’s a fully equipped galley, convenient for serving food to the dining table in the salon. When dinner is over, the salon converts into a sleeping area with room for two. A full head is also in this space. This boat has the Volvo Carbon Fiber Outdrives, needs some upholstery work, and mechanical work. New bottom paint 5/2016. Seller is ready to make a deal at a price that will allow you to do the needed fixes and come out on top. Call the listing agent today for more details.